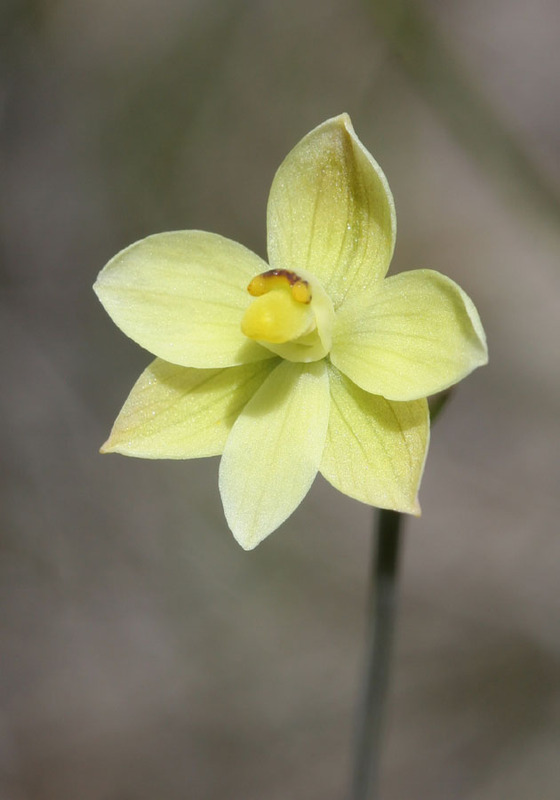 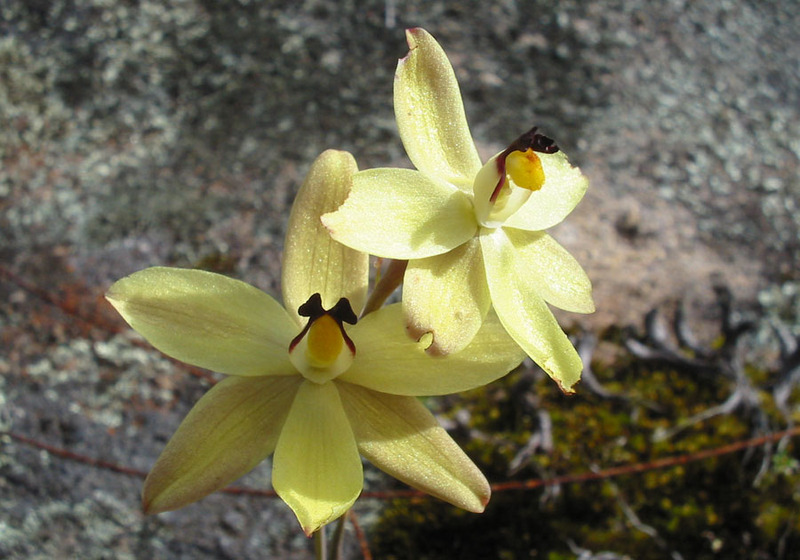 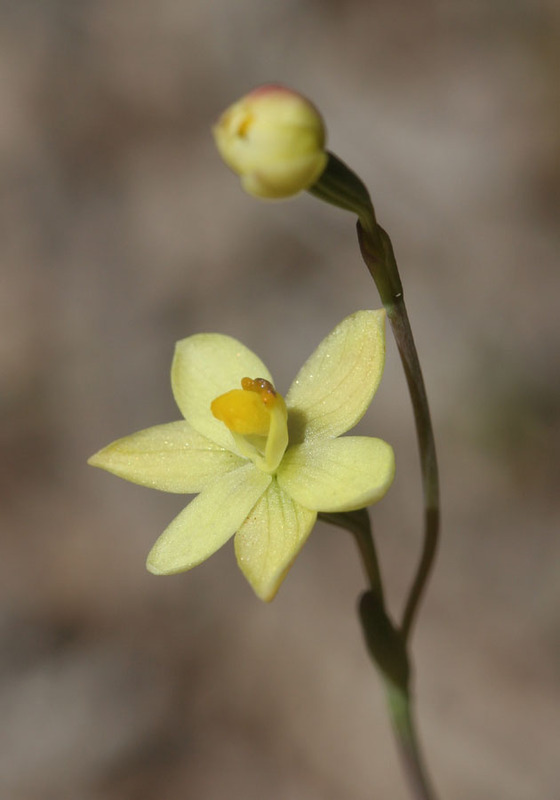 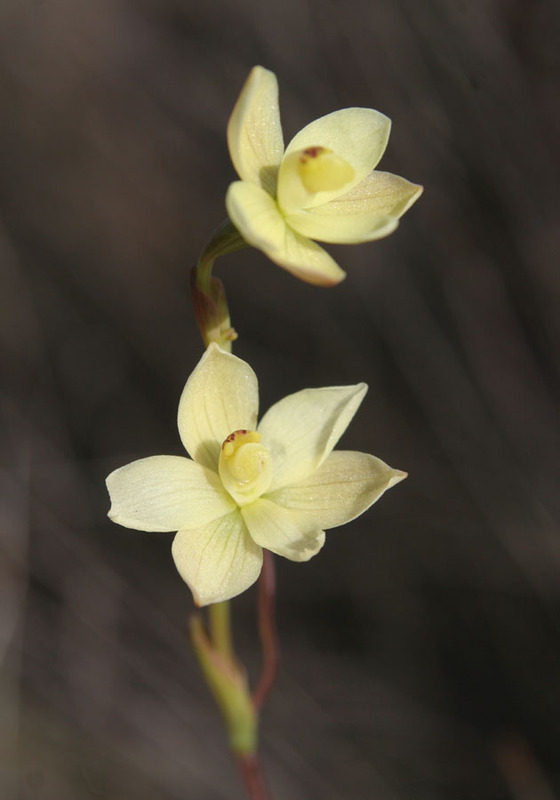 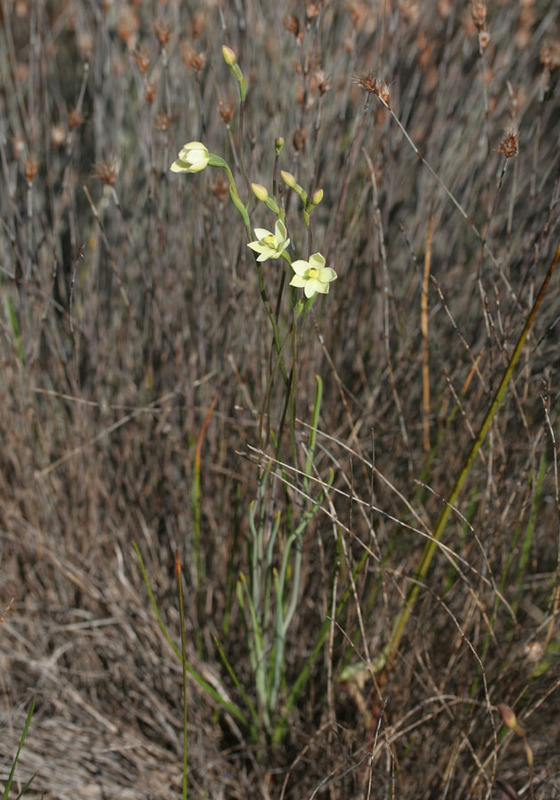 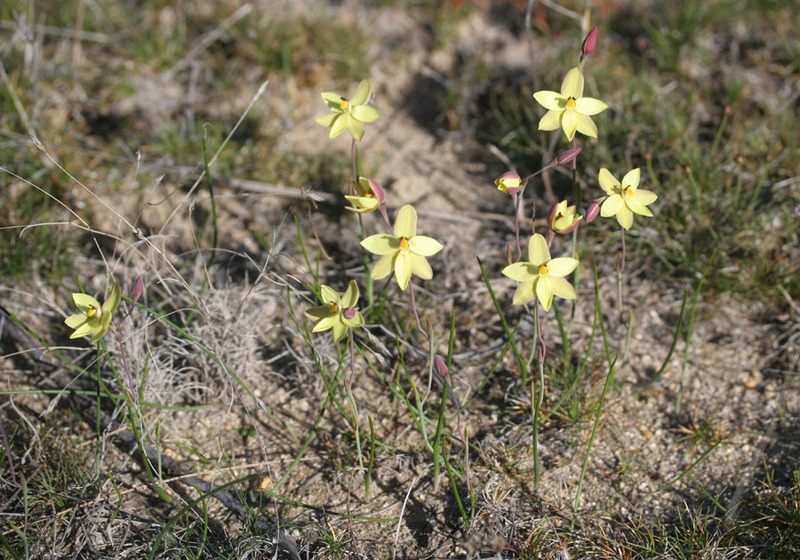 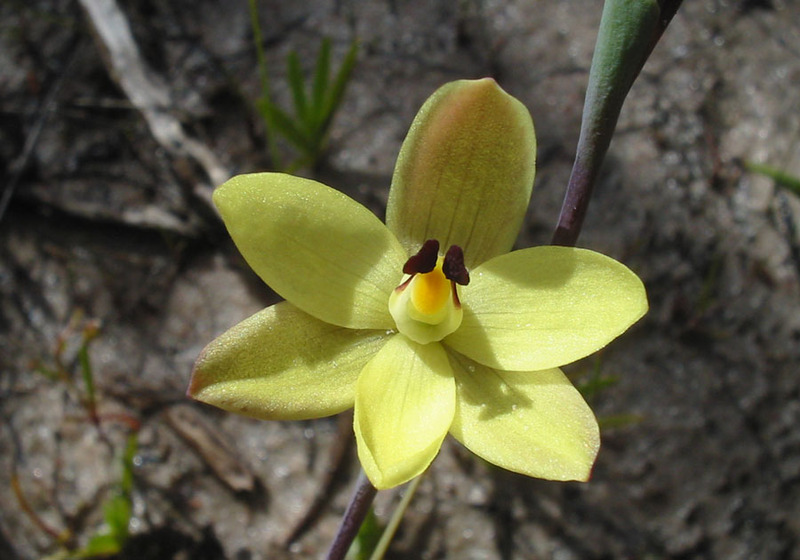 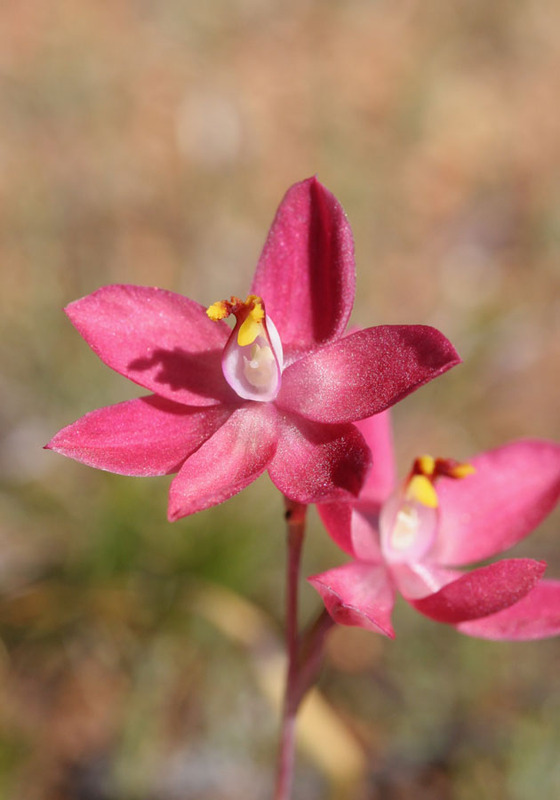 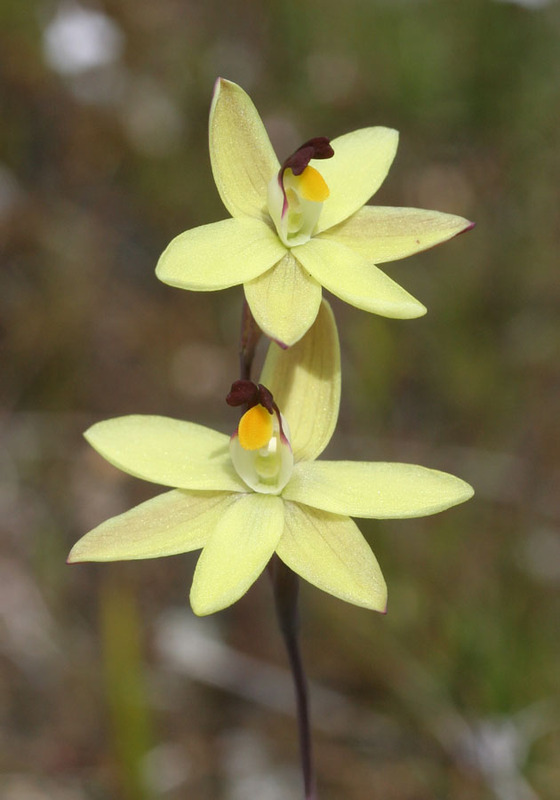 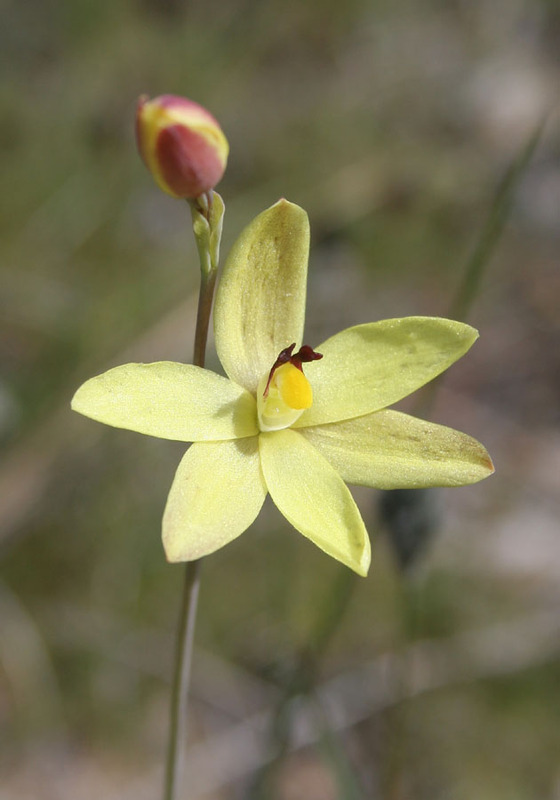 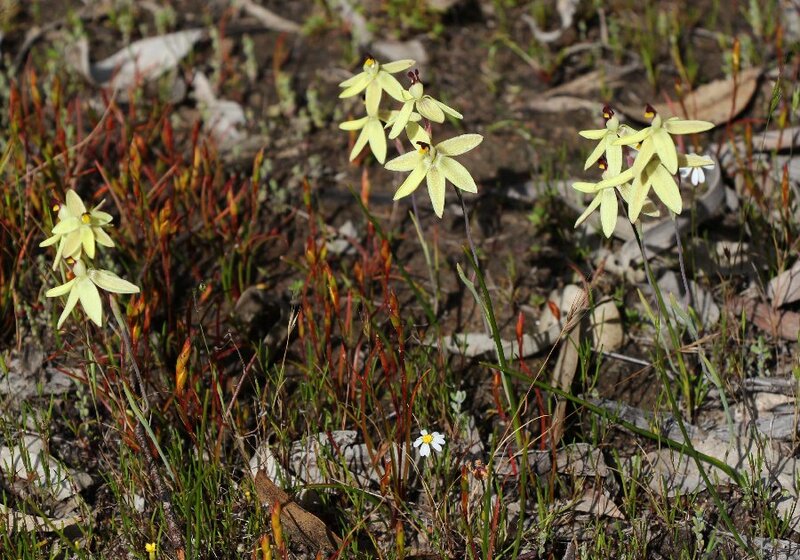 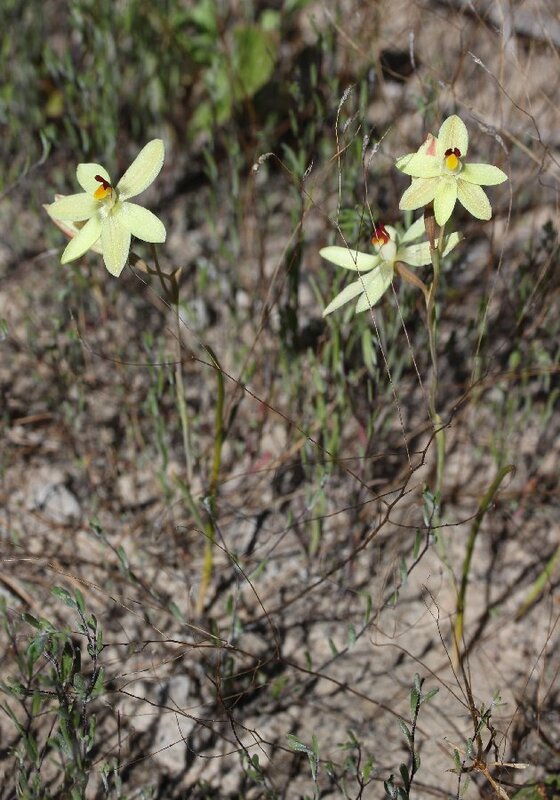 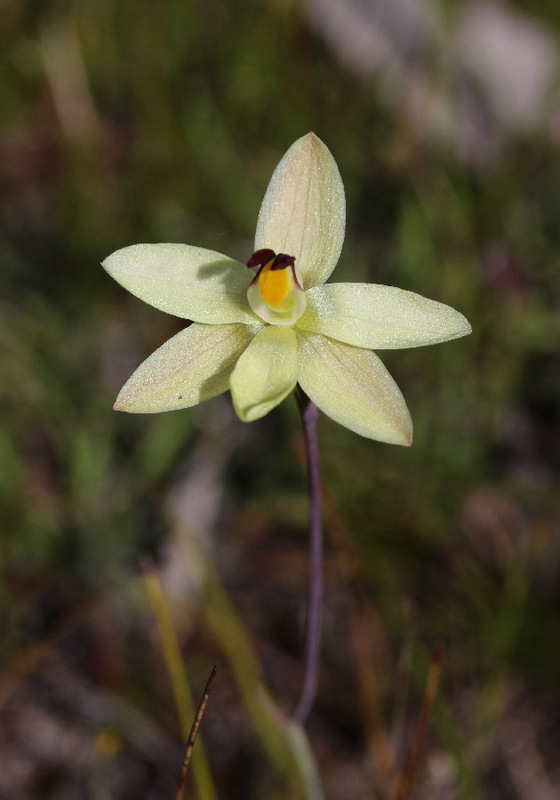 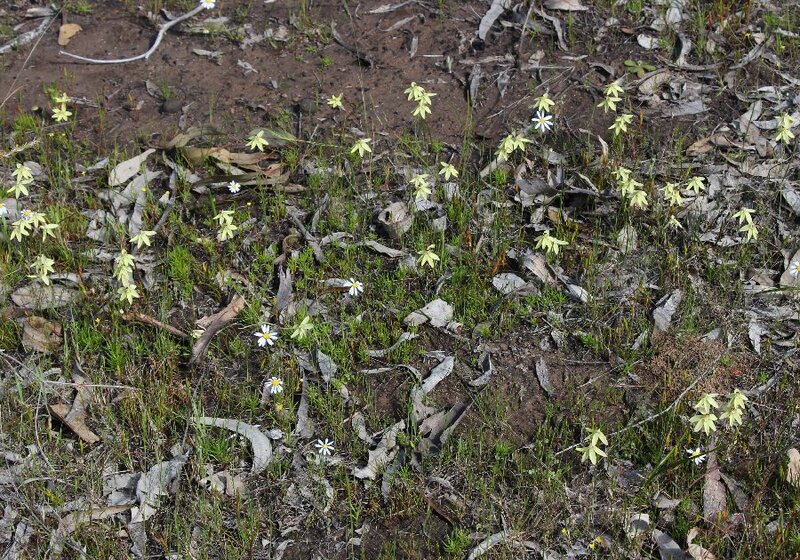 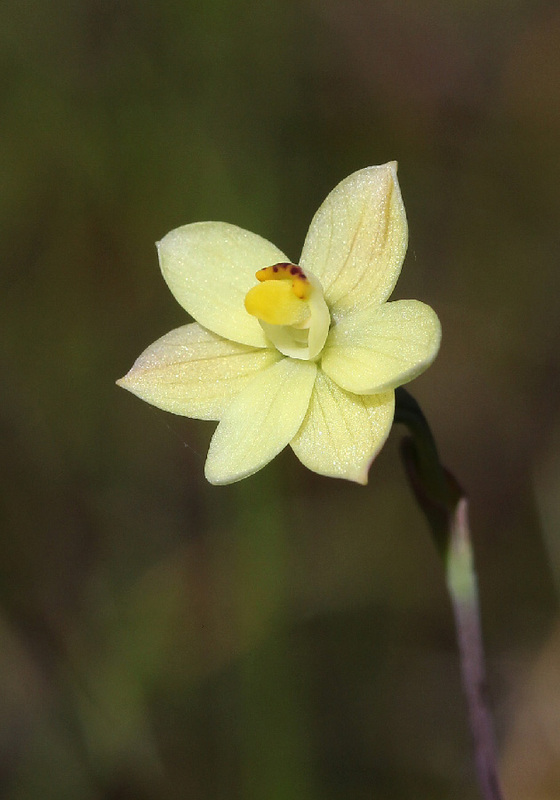 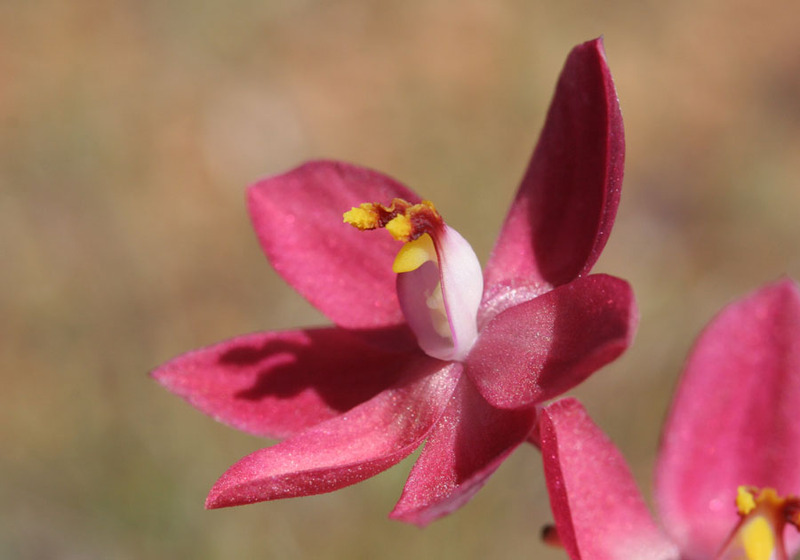 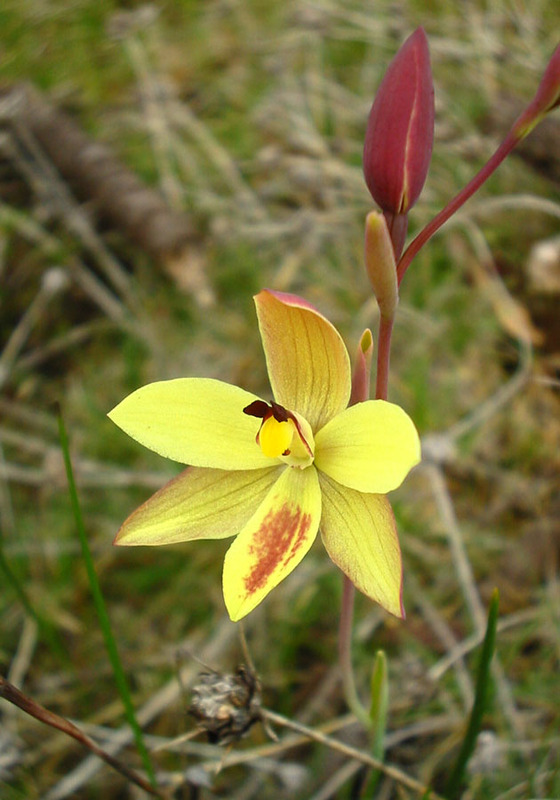 The Lemon Scented Sun Orchid is probably the most common sun orchid in Western Australia. 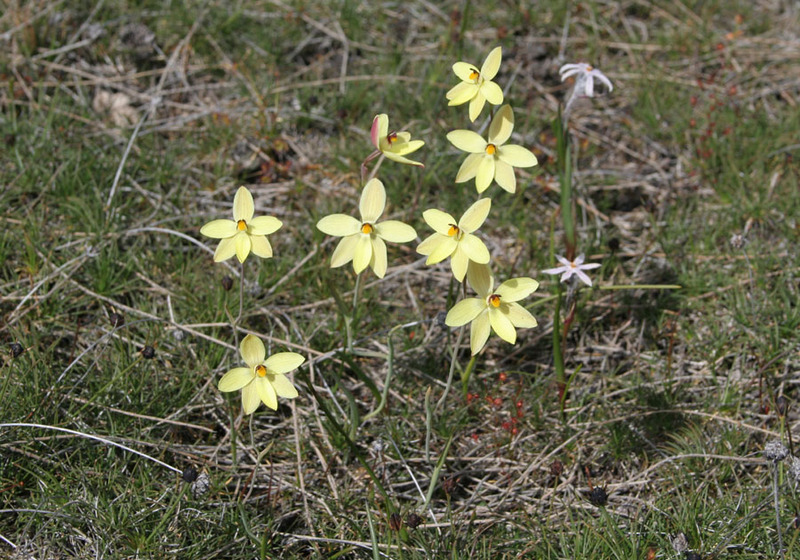 Often seen as carpets of yellow flowers, it inhabits moist areas, including swampy land and runoff areas on and around granite outcrops. 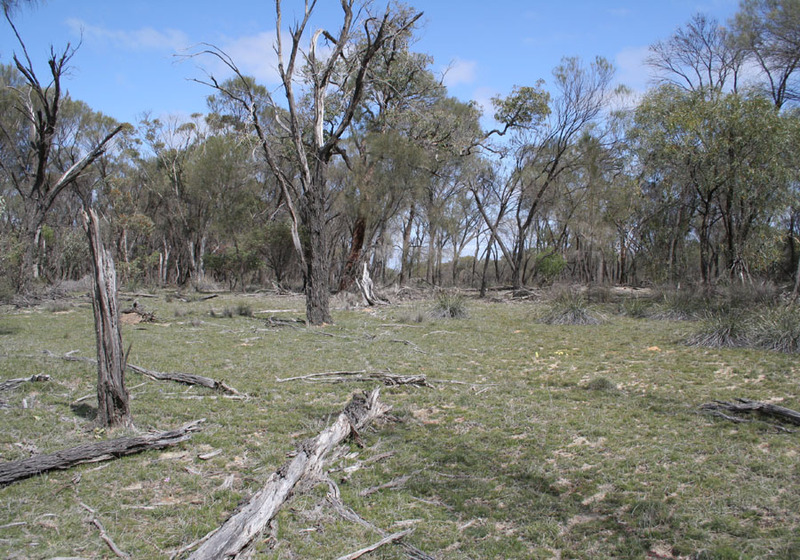 It is widespread across the entire south west of Western Australia. 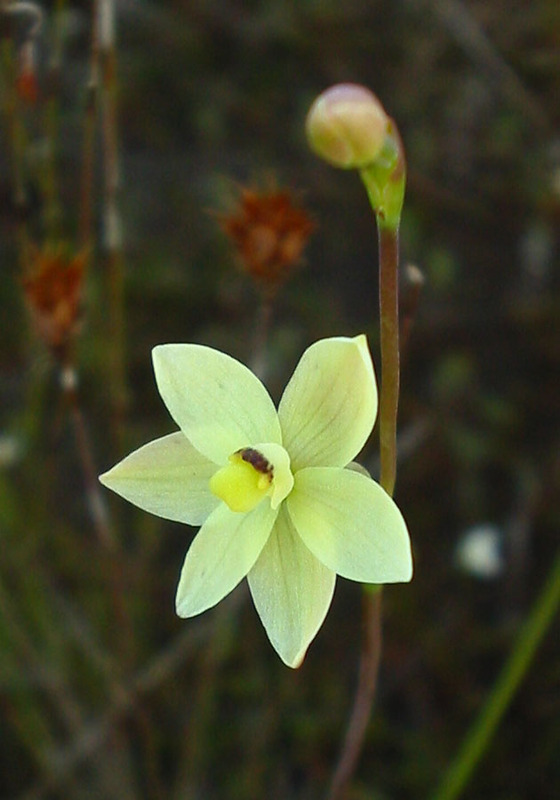 Its flowers have a distinct lemon scent. 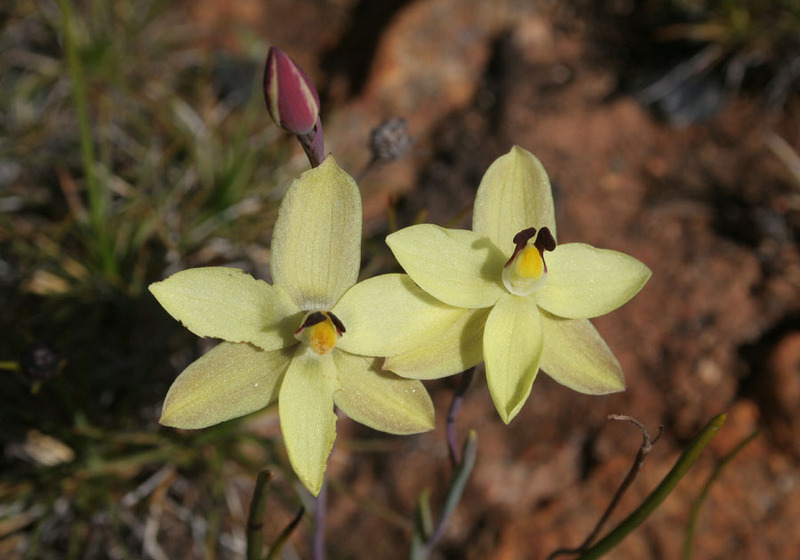 The Twisted Sun Orchid has similar, smaller yellow flowers and is distinguished by the differently shaped column and zig-zagging stems (hence its scientific and common names.) 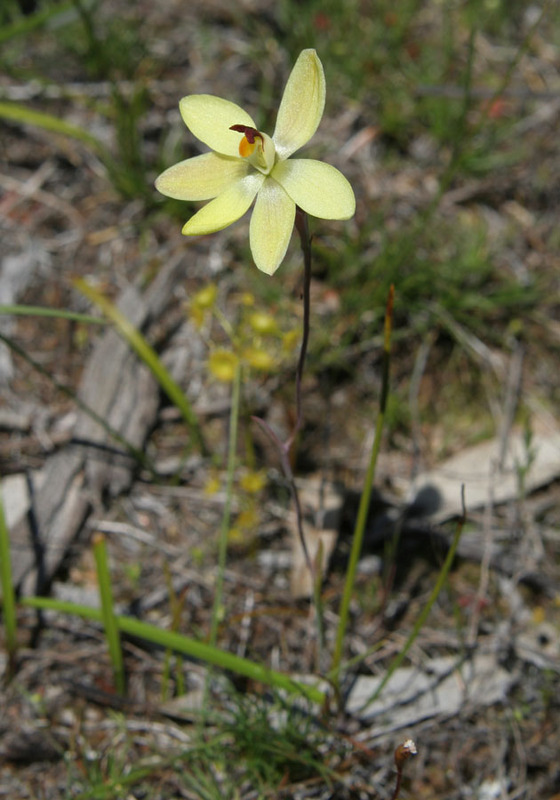 The Lemon Scented Sun Orchid also can have zig-zagging stems, however those of the Twisted Sun Orchid are usually much more pronounced. 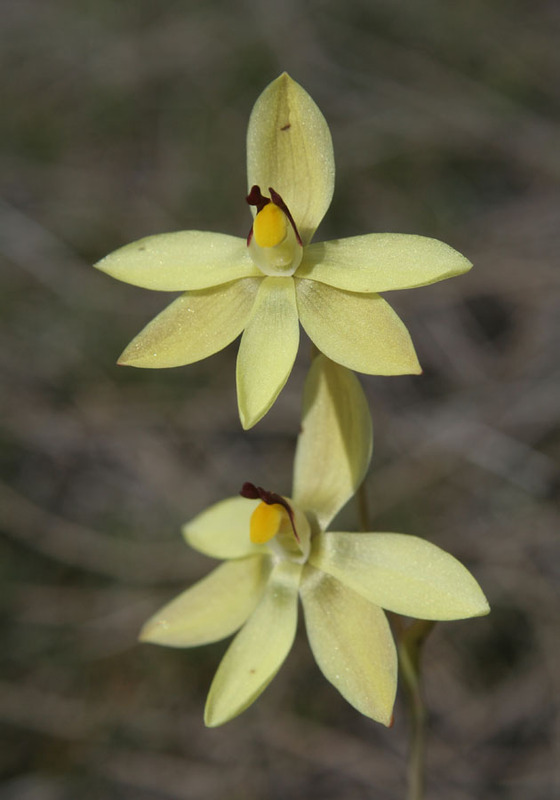 The Lemon Scented (and also the Twisted Sun Orchid) readily hybridise with any of the Scented Sun Orchid group where the two are found together. 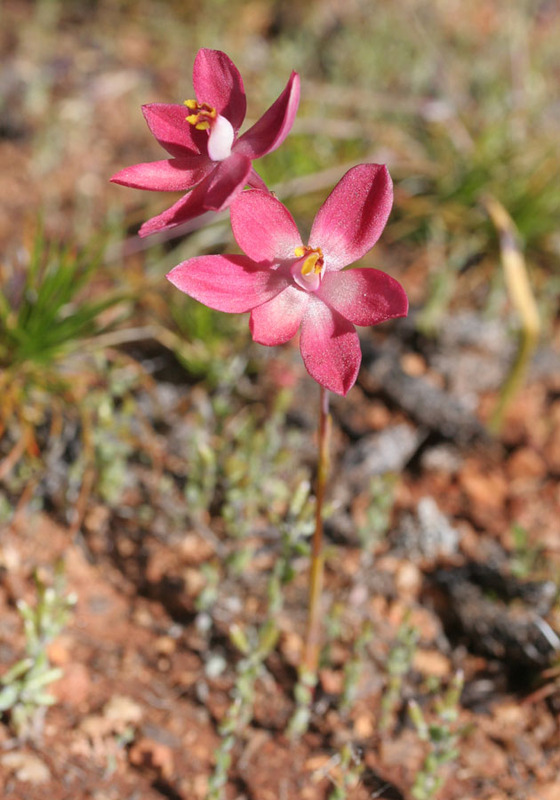 Interestingly, such hybrids range in colour from red to pink to orange.